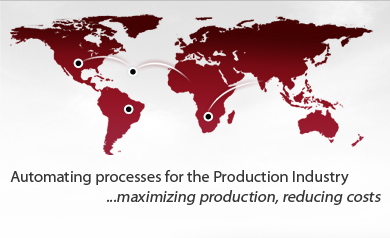 As a top performing Automation / Process Consulting company in America. We have a solid proven track record of providing solutions and integration to customers. This ability is second to none in the gas processing industry. Integral Dynamics is a Automation / Process Consulting company which can customize a wide array of operating based consulting services to fit customer’s development and strategic requirements. Integral Dynamics provides several key services that not only improve functionality but the overall reliability of your current operations. We can also provide critical expertise for automation, the commissioning/ start-up of new and modified facilities. As a successful Automation / Process Consulting company our mission is to provide key solutions and solution integration no one else in the industry can offer. Strengthens competitive positions across existing businesses and successfully achieves strategic growth. Strengthen customer service and relationships through leadership on key policies. A commitment to health, safety and environmental responsibility. Ethically and honestly doing what I say I will do. Embracing diversity and inclusion, enhanced by openness, sharing, trust, teamwork and involvement. The excitement and fulfillment of achieving superior business results and stretching my capabilities. Having the courage, creativity and discipline to lead change and shape the future. My customers benefit from our business relationships. Every team member starts each day with a sense of purpose and ends each day with a sense of accomplishment.